Almost everyone has at least one secret they hope will never be revealed. For most of us, though, these secrets aren’t as dangerous as the ones found in this collection. By far my favorite entry was “The Bag Lady.” The narrator was a successful businessperson who strikes up a conversation with a homeless woman on a train ride. The beginnings of a friendship blossoms between these two women at the same time that the businessperson tries to figure out what lead the bag lady to end up in such a precarious position in life. I was completely enthralled by the clues her unlikely seat mate revealed as the journey progressed. There were a few of them that I didn’t recognize at all until after the final scene ended. This could have easily been expanded into a full-length novel, although it was perfectly satisfying as it was written. I loved almost every single tale that Mr. Hartman compiled here. There were only a handful of exceptions to this, and even in these cases I still found something to like in the ones that didn’t fully capture my attention. Most of these stories were incredibly short. A few were only a page or two long. While this format worked well for the majority of them, ““Fireworks (from Judge Lu’s Ming Dynasty Case Files)” would have benefitted from a much longer format. It involved a death that occurred at the same time that a large group of fireworks were being set off. There were so many characters milling around, though, that I had a hard time keeping them all straight while also trying to figure out how the victim died and who, if anyone, might be responsible for his death. In “Fractured Memories,” Keith woke up the morning after a wild Fourth of July party to discover something horrible had happened the night before. From his disorientation in the beginning to his reactions to the stunning conclusion, I felt like I was walking alongside this character every step of the way. The clues were revealed steadily enough to keep me revising my theories about what must have really happened after he went to sleep. I was so interested in what the solution would be that I couldn’t stop reading this one. 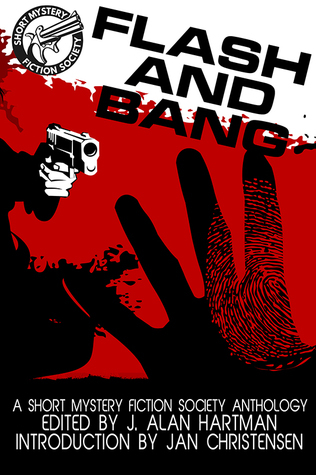 Flash and Bang: A Short Mystery Fiction Society Anthology was a lot of fun to read. I’d recommend to anyone who likes very short mysteries.